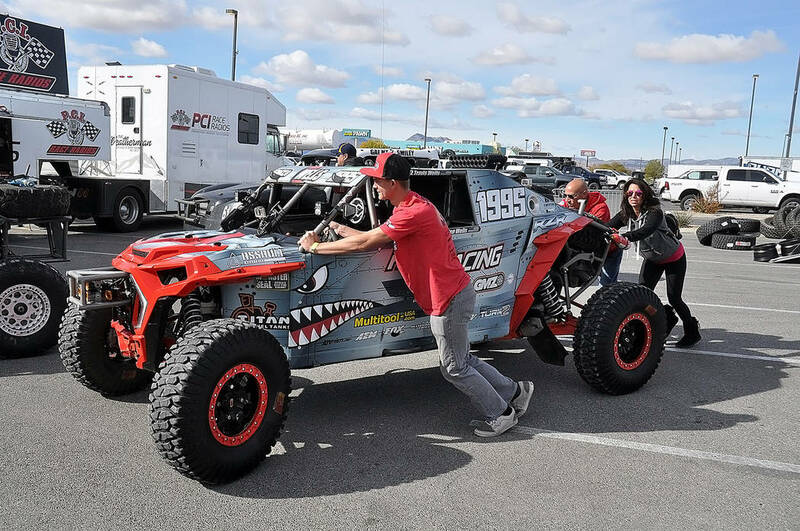 The Pahrump Nugget 250 has been an overwhelming success, with hundreds of hotel rooms filled and roughly 3,000 people coming to Pahrump to witness what this year was a record number of racing teams competing in Best in the Desert Racing Association’s final race of the season. 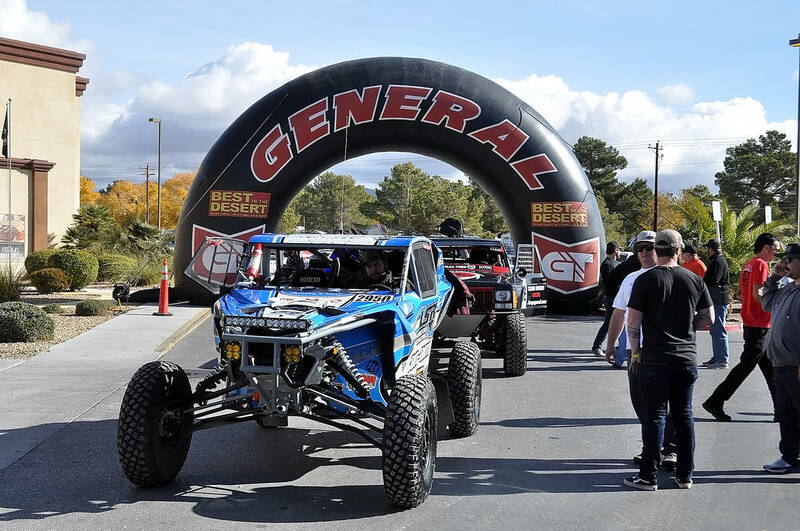 Horace Langford Jr./Pahrump Valley Times Off-road vehicles line up Friday in the Pahrump Nugget's parking lot for technical inspection the day before the Best in the Desert Racing Association's Pahrump Nugget 250. Horace Langford Jr./Pahrump Valley Times Kaden Wells of St. George, Utah, and crew members push his vehicle through the line for technical inspections before the Pahrump Nugget 250 on Kaden Wells of St. George, Utah. But for drivers and crews, it’s not the most convenient event of the year. So the race is not on the Best in the Desert calendar for 2019. Driver Anthony Terzo, parked in front of the Pahrump Nugget waiting for a technical inspection of his Trick Truck, said it made sense to stop an event that many drivers simply could not get to and forced others to make a choice. Marshall confirmed that timing was the major factor in the decision to stop holding the race. But Marshall also said Best in the Desert is open to returning to Pahrump, just not after Thanksgiving.